This substantial family home offers wonderful family accommodation throughout with a spacious entrance hall, downstairs shower room, lounge, family/play room, study, utility room and a lovely open plan kitchen, dining living room with French doors allowing access to the rear garden. The upstairs accommodation comprises a galleried landing, large master bedroom with en-suite bathroom, three further double bedrooms and the family bathroom. Benefits include a modern bespoke Optiplan solid oak kitchen with granite work surfaces and under floor heating in both the kitchen/dining/living room and the lounge. 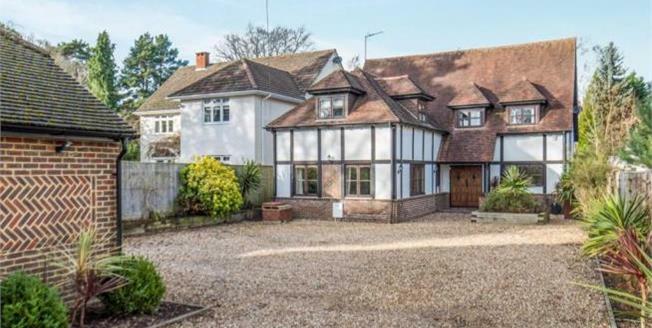 Outside a block paved entrance leads to a large shingle driveway providing a significant parking area with a detached double garage. The large rear garden is fully enclosed with a large solid timber children's play frame, a full width patio offering excellent entertaining space and a large area of lawn with pretty borders and mature planting offering a good degree of privacy.